‘Most of us can relate. If you’ve ever walked over a slippery surface or spent any time on ice or snow, chances are you’ve caught yourself altering your movement patterns to prevent a fall; the alteration is a natural response to fear. But if this response is natural, how can it eventually lead to a fall? It turns out that fear-induced alterations in gait patterns can have a profound impact on the muscles used while walking. Timid walking tends to mean less clearance of the foot from the ground (shuffling), bent knees to lower the center of mass and a reduction in the natural arm swing that balances the movement of the legs. A lot of people struggle to do this movement (see quote above) and so it can be helpful to modify the exercise by using the hands to start with or by lifting the hips up higher than the feet. For example you could start by standing without hands from a chair and then gradually lower the height you are starting from. 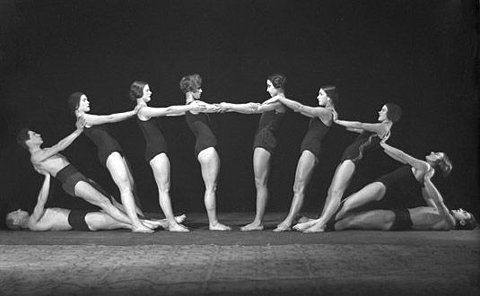 Also try starting in a different position- try standing from a kneeling position or even a squat and then try coming up with hands, with one hand, and then with no hands. More importantly, as a longer term measure to build strength, flexibility, coordination, and balance, think about sitting on the floor more often and varying how you are sitting. If sitting on the floor is uncomfortable, add cushions, blocks , or whatever is needed under the pelvis to help take away any tension in the low back or hips. Click here for details on my ‘Happy Hips’ workshop. For more inspiration on dynamic living spaces, or just increasing your daily movement, I recommend taking a look at the video here. This vegan recipe from Donuts and Bolts is delicious- especially the macaroni cheese. 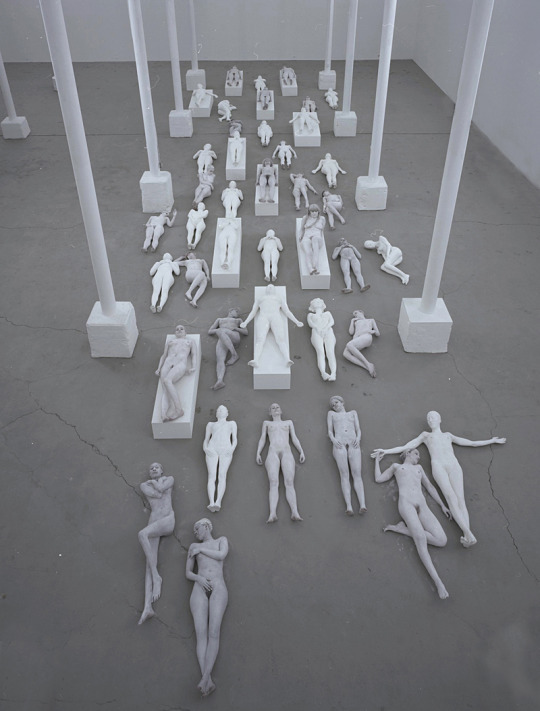 Vanessa Beecroft. VB64, New York. 2009.